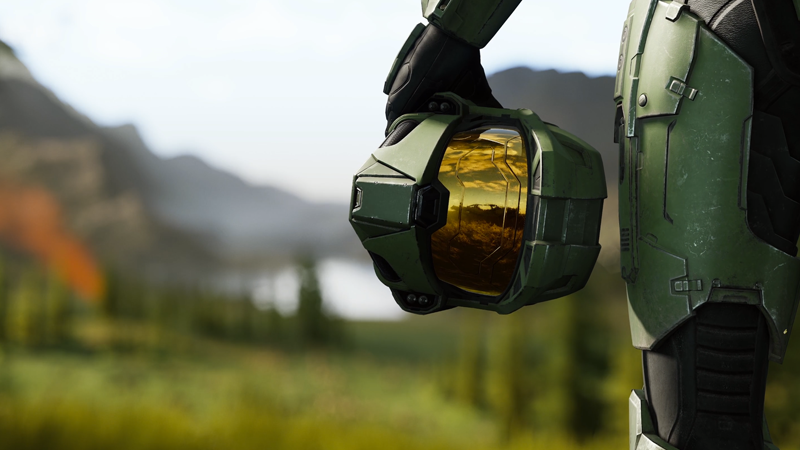 The Master Chief gets ready to continue the fight in the trailer for Halo: Infinite, announced at E3 2018. Microsoft announced Steven Spielberg’s involvement in a live-action adaptation of its legendary shooter franchise Halo back in 2013—and now, there’s finally some new news on the series. And of course, as ever with Halo, there’s a familiar fight to finish. 343 Industries announced on the official Halo website today that Showtime has commissioned Halo for a 10-episode series. Kyle Killen, who was showrunner of the fantasy alt-timeline procedural Awake, will write and executive produce the series as Halo’s showrunner, while Rupert Wyatt—who directed 2011's Rise of the Planet of the Apes—will direct multiple episodes. Spielberg and Amblin Entertainment are still attached to the project alongside 343 Industries and Microsoft. Nothing new in terms of plot has really been revealed yet, other than the press release describing the series as “dramatizing an epic 26th-century conflict between humanity and an alien threat known as the Covenant.” This means Halo will take its storyline cues not from the current era of Halo video games—in which series hero the Master Chief has found a whole new race of villains to shoot at and run over in his Warthog jeep—but seemingly instead the beloved first Halo trilogy and Halo: Reach, developed by Bungie. At least Halo fans can be rest assured that, after over four years without hearing much, the adaptation is still happening. We’ll bring you more on Showtime’s Halo as we learn it.